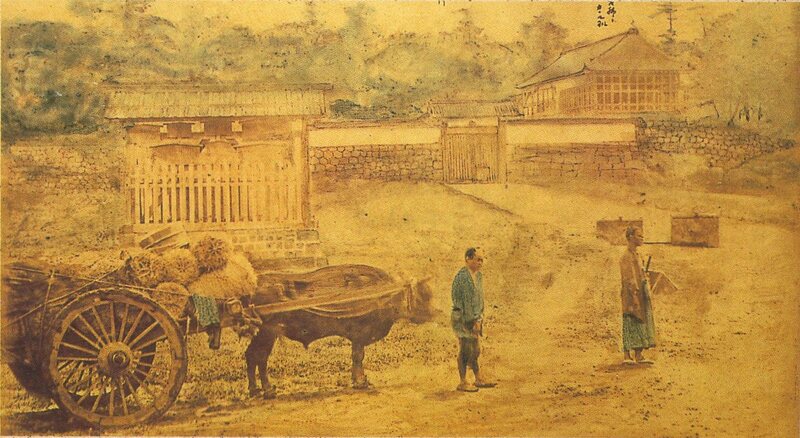 Hanzômon, or 半蔵門, means “the gate of Hanzô”, and was a gate to the old Edo Castle, or today’s Imperial Residence. It was located in Edo Castle’s westernmost part. The gate led straight on to the Kôshû Kaidô, one of the “Five Highways” of Edo Period, and connected Edo with today’s Yamanashi Prefecture. This gate has given it’s name to the area of Hanzômon, as well as the Metro Station in it’s vicinity. The area inside of Hanzômon was known as the Fukiage (吹上, “clean blown”) in the Edo Period, and was where previous Shôguns and their families were housed. Today, this area houses the Fukiage Imperial Gardens, the Imperial Palace, the Biological Research Institute, and much more. 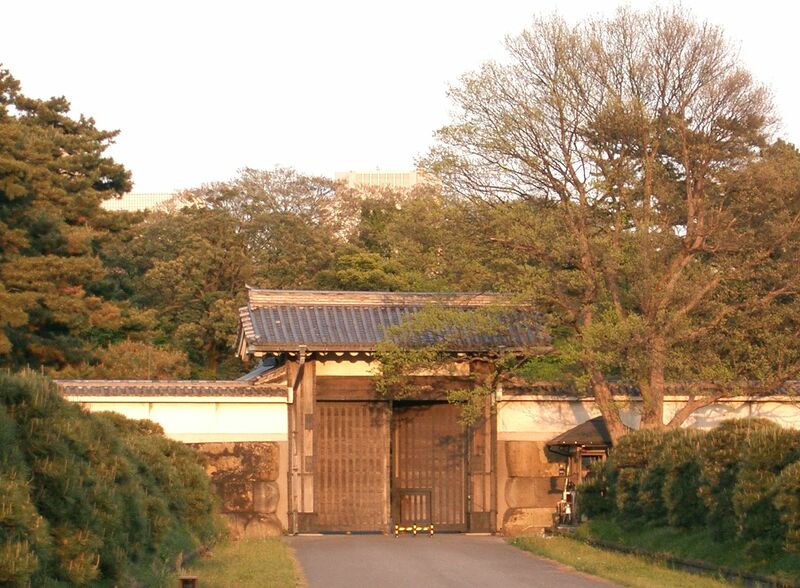 The Hanzômon Gate is mainly used to accessing the residences of the Emperor and his closest family. It is not open for the general public, however. During WWII, the original gate burned down, and in it’s place stands the Wadakura Gate (和田倉門). The gate itself got it’s name from the famous samurai and ninja Hattori Masanari, and his son with the same name. They often used the name “Hanzô” (半蔵) to refer to themselves, a tradition that has been used at least three times before the father/son duo. Another theory is that during a Sannô Matsuri, the statue on top of the float, or “dashi”, had to be cut in half in order to be able to pass through the gate, as the statue was too big. Hence, “half statue” becomes 半像, which is also read as “hanzô”. 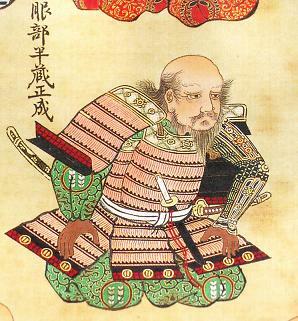 However, the established theory is the former, as the Hattori family and their vassals, about 200 men from the Iga Clan of ninjas, built a large mansion outside of the gate, and were in charge of patrolling and securing the area from Yotsuya (四谷) to the Kôshû Kaido.